A bench of Chief Justice Dipak Misra, Justice AM Khanwilkar and Justice DY Chandrachud said so while leaving open the question whether home buyers were unsecured creditors or secured creditors. The bench also acceded to RBI’s request to direct the banks to initiate corporate insolvency resolution proceedings against Jaiprakash Associates Limited (JAL) under the IBC. The court was hearing petitions for protecting the interests of home buyers, as many as 646 persons, in projects floated by Jaypee Infratech Limited (JIL), a special purpose vehicle created by its holding company, Jaiprakash Associates Limited (JAL). The petitions had been filed before the apex court after the NCLT, Allahabad, instituted insolvency proceedings against JIL on August 9, 2017 on a petition moved by IDBI Bank. The homebuyers had argued that the Corporate Insolvency Resolution Process (CIRP) ignored the interests of homebuyers, who are the vital stakeholders in building projects, and that rights conferred upon them by special enactments, including the Consumer Protection Act 1986 and by the RERA, could not be divested and they cannot be left without any remedy. During the pendency of these petitions, the concerns of the homebuyers were sought to be assuaged by the Insolvency and Bankruptcy (Amendment) Ordinance, 2018 which came into force on 6 June 2018 and brought homebuyers within the purview of financial creditors under the IBC. The bench noted that JAL was classified under the SMA – II category (demands overdue for more than 60 days) by banks as early as on 3 October 2014 and as an NPA since 31 March 2015 and agreed with RBI’s submission that any further delay in resolution would adversely impact a viable resolution being found for JAL and JIL. We direct that a CoC shall be constituted afresh in accordance with the provisions of the Insolvency and Bankruptcy (Amendment) Ordinance, 2018, more particularly the amended definition of the expression “financial creditors”. We permit the IRP to invite fresh expressions of interest for the submission of resolution plans by applicants, in addition to the three short-listed bidders whose bids or, as the case may be, revised bids may also be considered. JIL/JAL and their promoters shall be ineligible to participate in the CIRP by virtue of the provisions of Section 29A. RBI is allowed, in terms of its application to this Court to direct the banks to initiate corporate insolvency resolution proceedings against JAL under the IBC. The amount of Rs 750 crores which has been deposited in this Court by JAL/JIL shall together with the interest accrued thereon be transferred to the NCLT and continue to remain invested and shall abide by such directions as may be issued by the NCLT. In its judgment, the bench refused the prayer of some that the amount of Rs 750 crores deposited by JAL on the orders of the court towards protection of their interests be disbursed amongst the affected homebuyers in form of refund of their money. The bench said, “We are keenly conscious of the fact that the claim of the home buyers who seek a refund of monies deserves to be considered with empathy. Yet, having given our anxious consideration to the plea and on the balance, we are not inclined to accede to it for more than one reason. 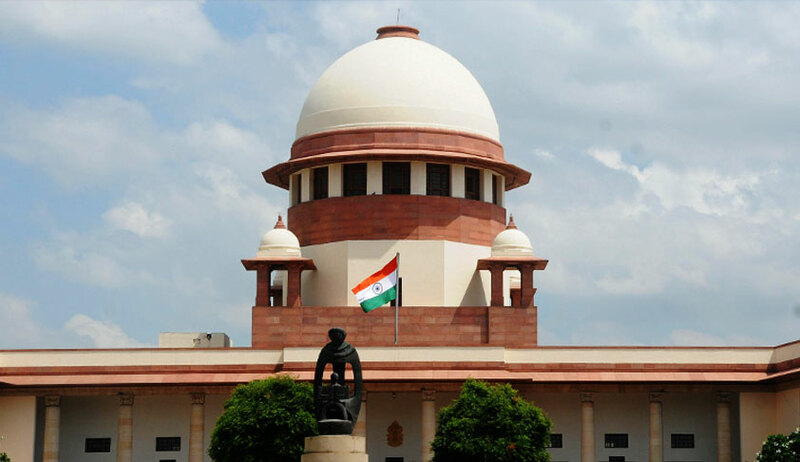 “Firstly, during the pendency of the CIRP, it would as a matter of law, be impermissible for the Court to direct a preferential payment being made to a particular class of financial creditors, whether secured or unsecured… Directing disbursement of the amount of Rs 750 crores to the home buyers who seek refund would be manifestly improper and cause injustice to the secured creditors since it would amount to a preferential disbursement to a class of creditors. “Secondly, the figures which have been made available presently, following the opening of the web portal by the amicus curiae, indicate that 8% of the home buyers have sought a refund of their monies while 92% would evidently prefer possession of the homes which they have purchased. We cannot be unmindful of the interests of 92% of the home buyers many of whom would also have obtained loans to secure a home,” the bench said. It is to be noted that the home buyers had invested in residential projects, described as “high-tech” townships, proposed by JIL and JAL in the National Capital Region. The townships were to be ready for possession within 30 to 36 months of the booking by a prospective buyer. As a result of the delay in handing over possession, numerous flat buyers filed consumer complaints before the State and National Consumer Disputes Redressal Commissions. In June 2017, RBI published a list of the top 12 defaulters in the country, including JIL, which was declared to be in default of an amount approximately of Rs. 8,000 crores to its lenders.